Yup, today I am sharing with you another cookie recipe. I told you, it is my every Sunday thing to do. Sometimes I make a recipe I already posted and sometimes I like to change it up. As you can tell, lately I changed it up. 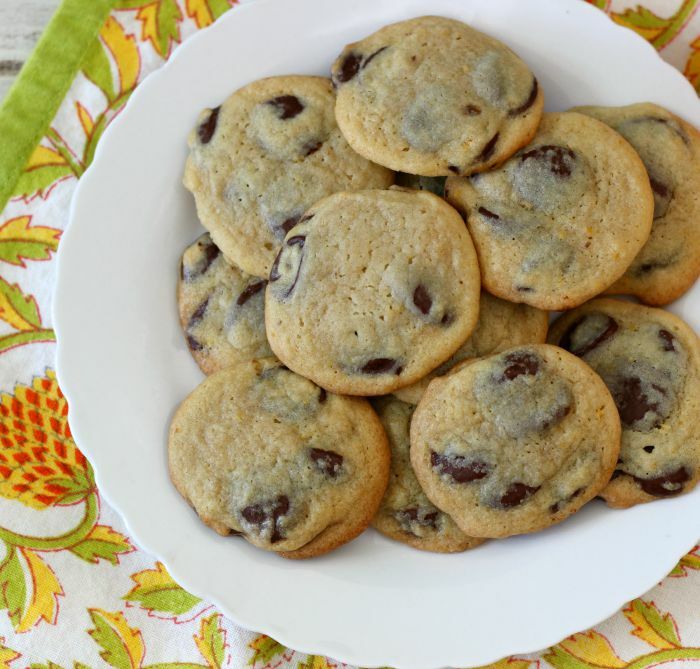 Today I am sharing with you one of my favorite all time cookie recipe; chocolate chip. However, I changed it up and made it orange flavor. Talk about OMG! 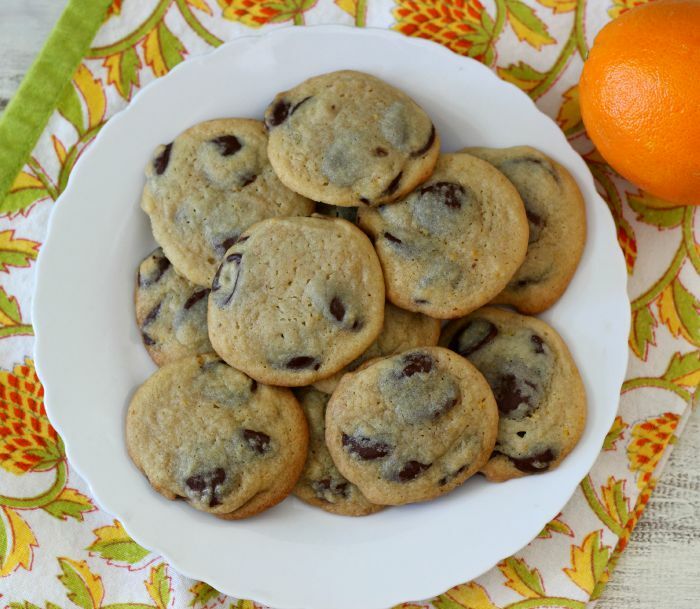 I love orange dark chocolate so I thought, why not in a cookie? I am so glad I ventured out and tried this combination. It is simply amazing! The cookies turned out soft, lightly crispy around the edges and the chocolate just melts in your mouth. When I was making this recipe, I was going to use orange extract, but I was out. I have every flavor in the world, but orange. So I added freshly squeezed orange juice and orange zest. 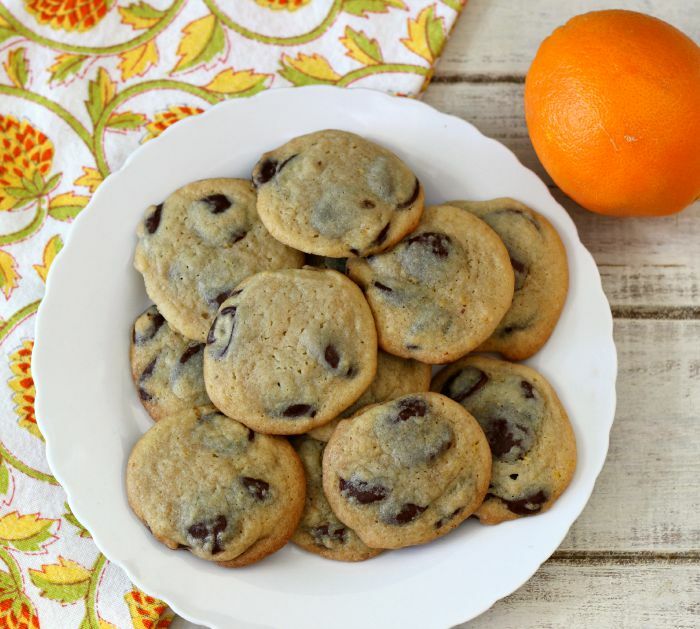 It added the perfect orange flavor without being to over baring. I also lightened up the recipe a bit by cutting back on the butter and sugar. I try to go as light as I can without ruining the cookie. 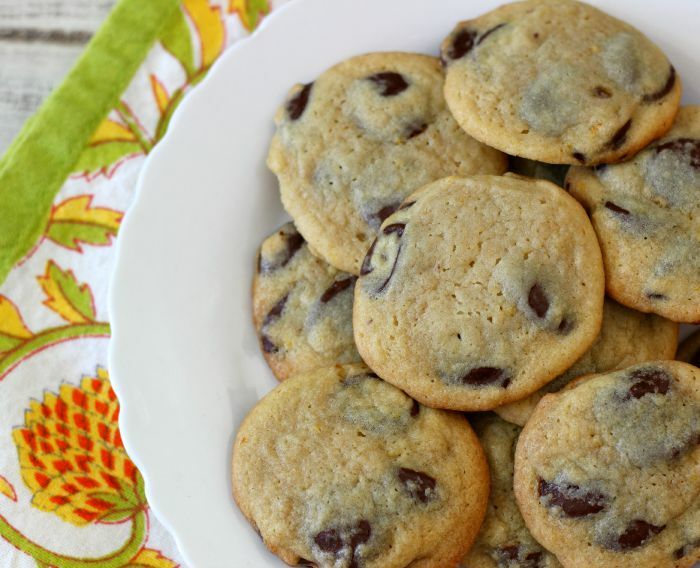 This recipe makes 60 perfect little 2″ cookies. Perfect for lunches, snacks and sharing. 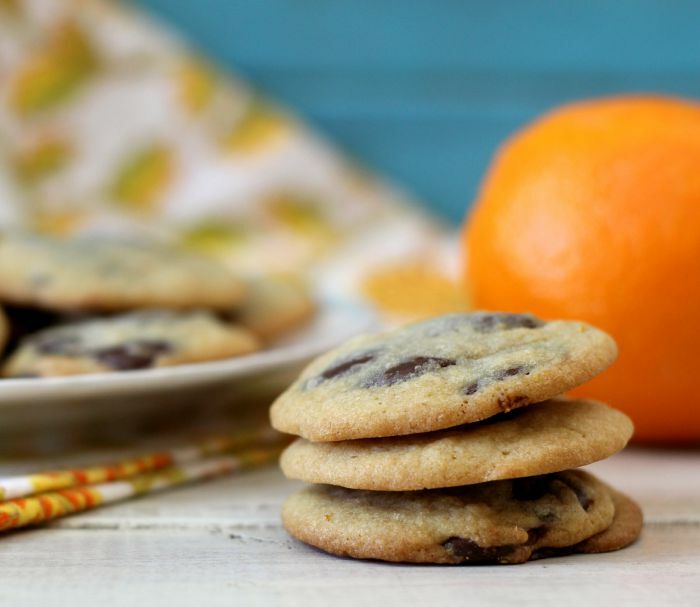 A light, orange flavored chocolate cookie made with freshly squeezed orange juice and orange zest. A great twist to a classic. In a medium bowl, sift together flour, baking soda, salt and orange zest; set a side. In a large bowl, add butter, granulated sugar, brown sugar and beat until creamy. Beat in one egg until combined. Beat in vanilla extract, and orange juice; until combined. Slowly add flour mixture until well combined. Stir in chocolate chips. If you don't have orange juice, you can sub 1 teaspoon of orange extract. You would still add the 1 teaspoon of vanilla extract. Sorry for all of the cookie recipes. I have really gotten into baking and I am really enjoy it! You are killing me!! These look so good!